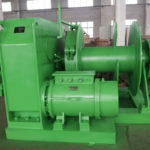 Ellsen Machinery Equipment Co., located in Zhengzhou, Henan, China, is a professional and experienced winch supplier. 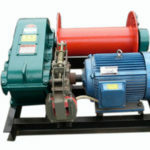 The main winch products include anchor winch, mooring winch, towing/tugger winch， capstan and construction winch etc. The marine winches provided by Ellsen can be driven by electric motor, hydraulic pump or diesel engine, which are optional on request. 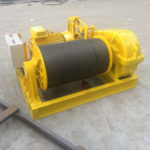 We keep on improving and perfecting our professional skill in manufacturing and customizing winches for clients. 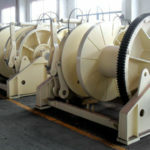 To guarantee the high quality products, we have establishes quality control department to control the production of the winches strictly from the source. If you would like to know more about us, we will be happy to offer you first class service. 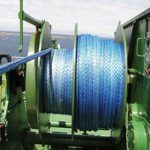 Ellsen has obtained many certificates such as ISO, BV, ABS, DNV, RMRS, etc and we promise to offer excellent after-safe service to make sure the safe and reliable work of the winches. 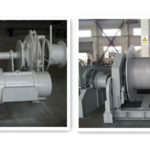 Our after-sale service is as follows: one year warranty for the whole device; free training and guidance of operation and maintenance in our factory as clients need; free training and guidance for the clients’ service and maintenance staff about installing, debugging, operating or maintaining the machine. Ellsen takes “customer first” as the first value and customizes products as clients demand. We promise to reply to customers’ inquiry and requests within 24 hours. For details about us and Ellsen marine winches, just contact us in any way available here.